Tienda de angelitos con lazos y picados para bebés en piel charol. 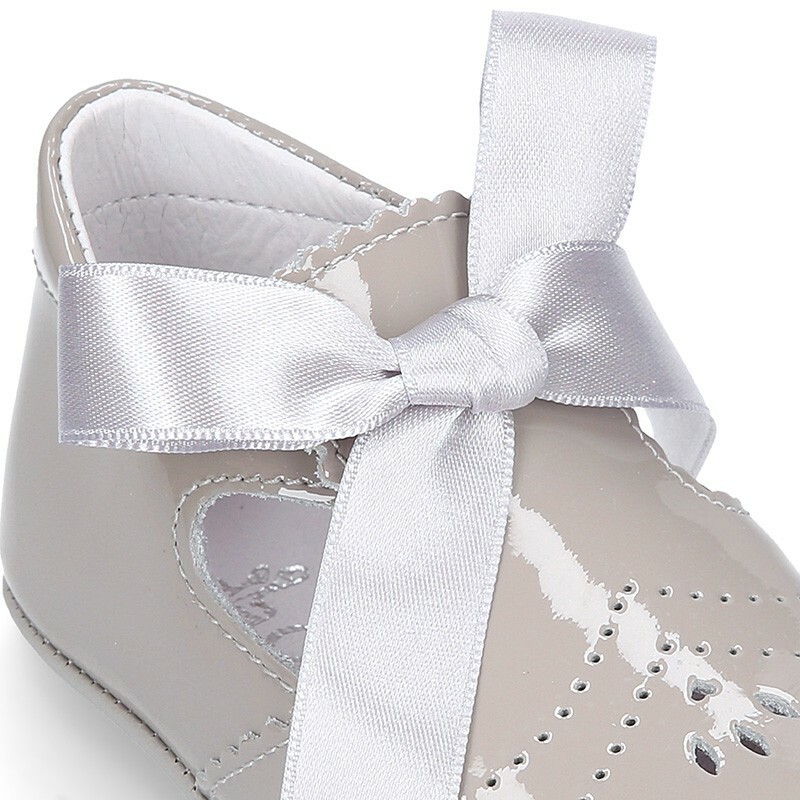 > Babies>Dress Shoes>Dress shoes for baby little angel style with tongue in patent leather. 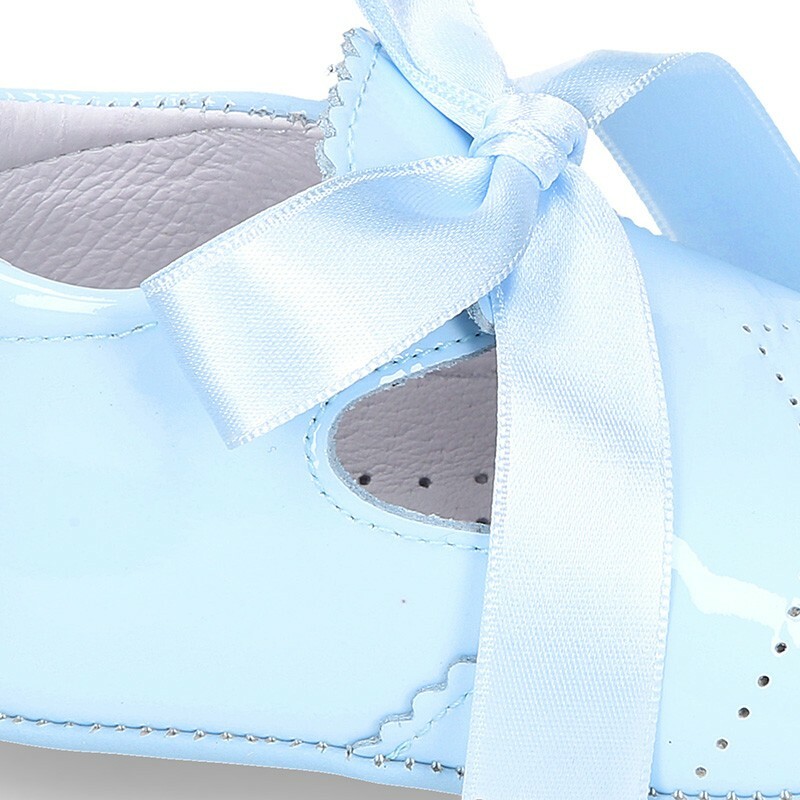 Dress shoes for baby little angel style with tongue in patent leather. 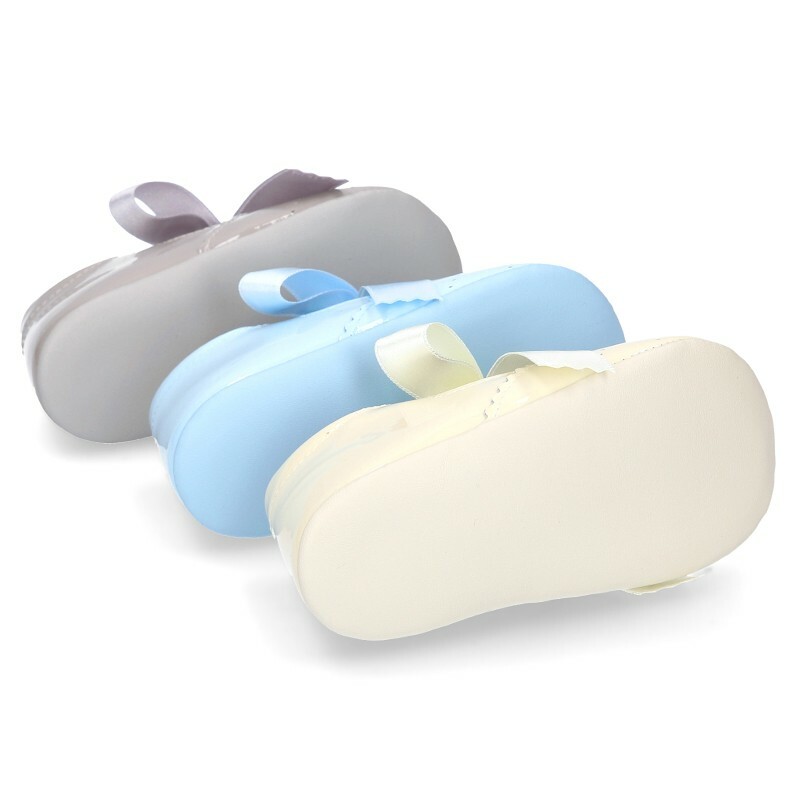 Dress shoes little angel style with tongue and ties closure in patent leather and pastel colors. More info about Dress shoes for baby little angel style with tongue in patent leather. 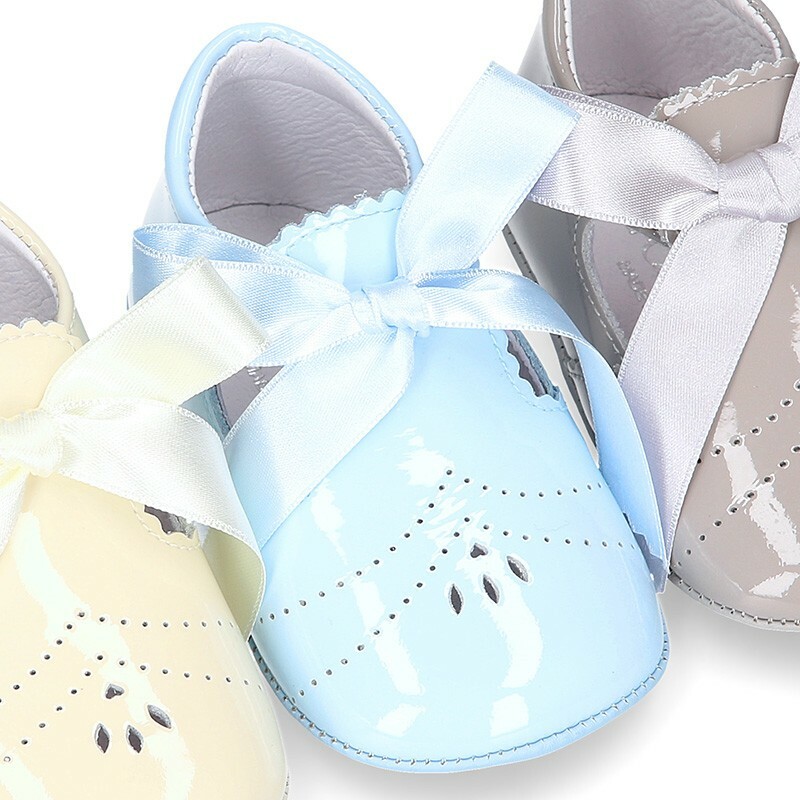 Classic dress shoes little angel style for babies and pre-walkers with scallop, tongue and closure with ties in Patent leather and pastel colors. Made up of natural 100% high quality nappa leather with patent finished. Really smart for to dress in any special occasions or to day a day basis with their sweetest looks in any season. Fully lined in leather with perforated leather insole for a good perspiration of their feet. Very fluffy to attain the maximum comfort of their delicate feet, that´s the reason why they are carefully handcrafted. Available in 3 colors. Range of sizes: from 17 Euro size up to 20 Euro size. SZING REGULAR. Data sheet about Dress shoes for baby little angel style with tongue in patent leather. Medidas sobre Dress shoes for baby little angel style with tongue in patent leather.